Indulge my cinephile strain, but "this just in" from the nexus of film (as a storytelling venue) and new media, Roger Ebert’s next TV/web show. “At the Movies,” the syndicated TV show he pioneered decades ago with critic Gene Siskel was cancelled this week by its distributor Disney. 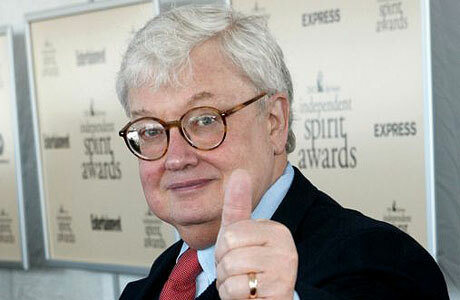 See Roger Ebert’s Journal at the Chicago Sun-Times website. Keep those factors in mind as you consider the opportunities for your own quality infomercial: cable and internet audience fragmentation (which means you can more effectively target your message to its best audience), broadcast TV consolidation (fewer corporations owning more stations). There may be some deals out there as TV becomes more affordable. How true. I follow Ebert tweets at my Twitter site, and the writer is especially prolific. It is perfectly understandable. He lost his speech, but he makes up for it with as profound a voice as ever. Question: how has new media changed the way you work? The way you think? Roger Ebert appears in Boulder this April 5-8 at the Conference on World Affairs at the CU campus in Boulder. Here’s the news release. His annual week-long film focus is the 1972 Werner Herzog film Aguirre, the Wrath of God. The “interruptus” format shows the film over four two-hour sessions, stopping the film for anyone in the audience who wants to ask a question or make a point. Kind of geeky. I love it.